Health Bound Blog: Tips on Post-Run Recovery. Art representing Health Bound at the Goodlife Fitness Toronto Marathon. 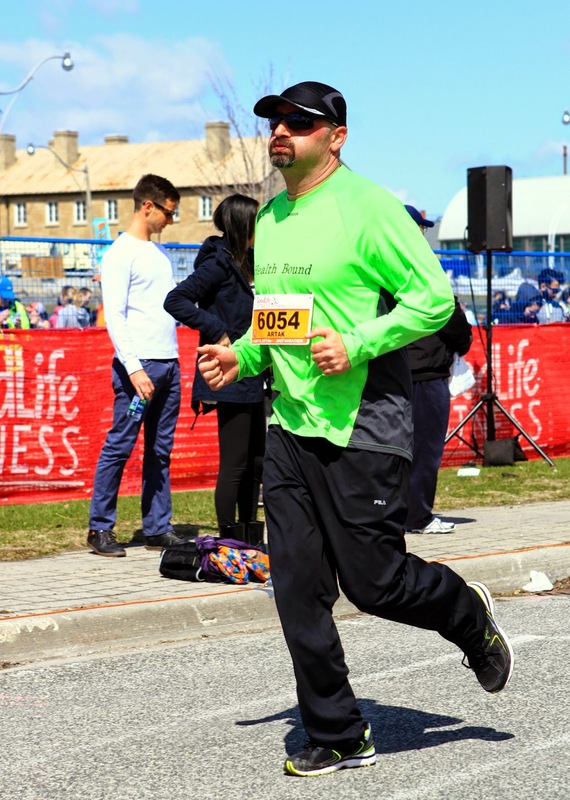 On May 4th, our very own Art Davtian participated in the GoodLife Fitness Toronto Marathon. A week later, our Health Bound nutritionist Oksana participated in the Sporting Life 10k race. We are so proud of both of them for having the courage and motivation to train, and the dedication to finish such a challenge! Hydration is Key. Drink lots of water after the run and throughout the week. Water, water with electrolytes and low sugar coconut water are the best for staying hydrated after your race. Avoid caffeine, alcohol and sugary drinks after the run (they are very dehydrating). Have a good nights sleep and rest after your run. Start by eating something light after your race such as a banana, then fuel up with protein rich meals after your race. For those who aren't lactose intolerant, chocolate milk is a nice little treat after your race with a perfect protein to carbohydrate ratio to help with recovery. 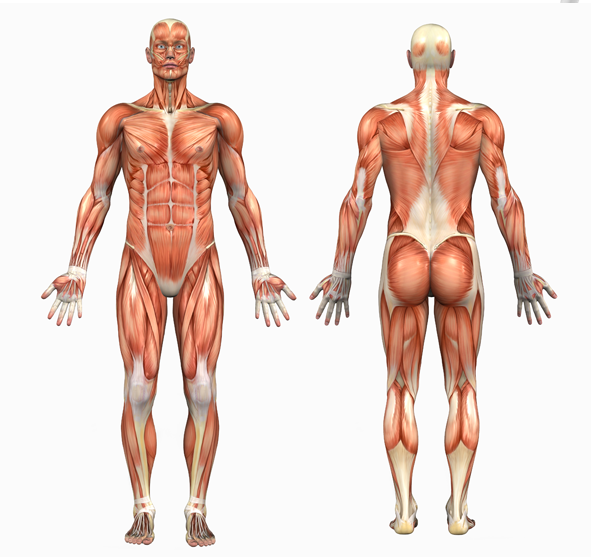 Epsom salt baths with warm water will help relax your muscles. Keep on moving. Walking around and stretching will help you feel less sore the next day. 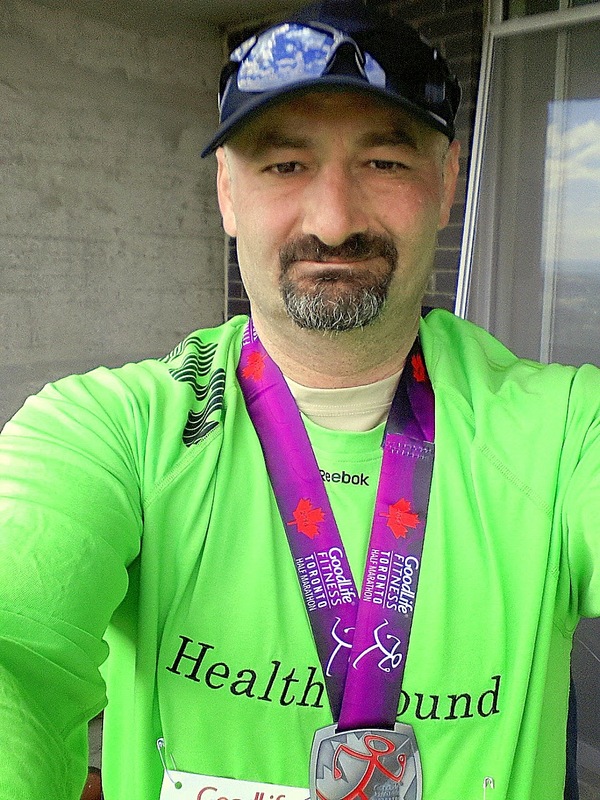 Art, showing off his medal after the Goodlife Fitness Toronto Marathon. Upon speaking to the runners, they both felt that the most important part of participating was enjoy yourself and challenging yourself, not competing. We encourage you to consider training (at your own pace) and participating in a run of your own - we are always here with tips and answers to your questions!